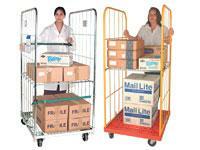 Looking for Roll Containers & Carts? Not everything in your line of work will pack up neatly into a box to be safely shipped on a normal pallet. Workplaces and warehouses have small goods, struts and supports, metal scaffolding, clamps, timber bits, and a number of other small items that they need to store. 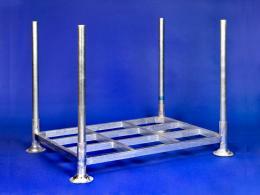 Using a pallet cage and stillage is the easiest way to keep everything in one place. 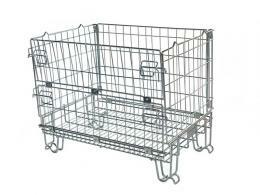 The pallet cages and stillages can store all those bits and pieces that need to be kept together. 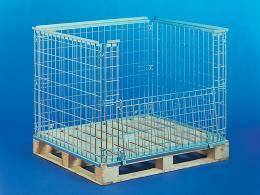 The convenience of the cage is that it can be kept in the same racking as all the other normal pallets. It can be moved around by forklift just like the other pallets. It can be loaded onto the truck to head out to the job site as well. Of course, it also allows you to keep your site clean from hazards or tripping anybody up. All the pallet cages and boxes we offer comply with the regulations governing this industry so you can be confident you’re using a good product. Just as a warehouse can vary from one place to the next, so does the needs of each. 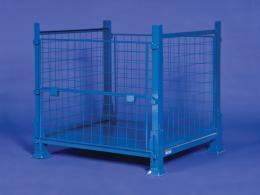 We understand that everyone has something different to store, which is why we offer such a wide range of cages to house your goods. 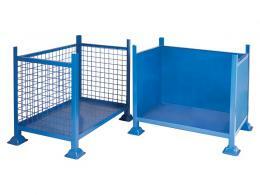 We have boxes and cages, folding containers and rigid stillages to keep everything in the one place. 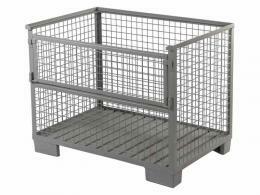 Even if you just need something to store scraps and metal offcuts, the pallet cage can easily be moved around with the forklift or picker you already have. Contact the team at Workplace Depot or simply browse through our catalogue to find the right option for your warehouse or garage.